Since 2008, Milpitas has experienced significant growth and development. 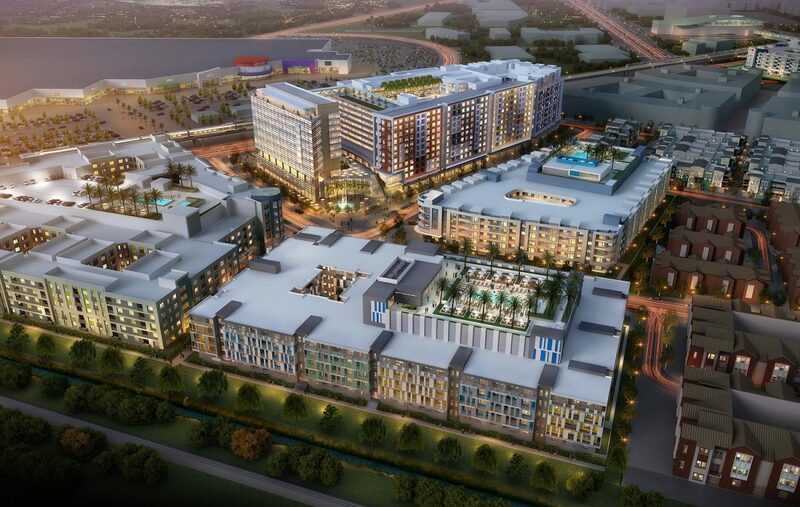 Residential and mixed-use projects in the Milpitas transit-oriented village are adding 6,875 housing units and over 190,000 square feet of commercial, retail, restaurant and entertainment space. The largest project in the Milpitas transit-oriented village, The Fields, is currently leasing in the first of four luxury residences being built. The project includes a resort-style pool and spa, 142,000 square feet of retail and restaurant space and the world-famous Virgin Hotel. SummerHill Apartment Communities, an adjacent development, is also currently under construction adding 694 apartment units and 36,500 square feet of retail space across from the largest indoor outlet shopping destination in Northern California, the Great Mall, and walking distance from the VTA Light Rail Station and future Milpitas BART Station. These are just two of nearly 30 residential and mixed-use projects planned, under construction or already completed within the Milpitas transit-oriented village. As private developers continue to invest in the Milpitas transit-oriented village, so is the City of Milpitas. It’s working to improve pedestrian, bicycle and vehicle access to the new Milpitas BART Station and transit hub. Public investments include a pedestrian overcrossing from new mixed-use developments to the Milpitas BART Station, a sidewalk and bike path expansion along a major expressway and an additional neighborhood park. Housing shortages have become a crisis in the Bay Area. With the rezoning of the Milpitas transit-oriented village, new commercial and residential developments have allowed Milpitas to accommodate Silicon Valley’s growing housing needs. These new high-density developments will house Milpitas’ growing high-tech workforce and provide amenities for both new and existing residents. “The future of the region depends on higher density mixed-use developments with access to public transit and amenities to accommodate the growing number of people and jobs in the Bay Area,” said Alex Andrade, economic development director. “Milpitas is leading the way in making this vision a reality”. The Milpitas transit-oriented village is an attractive option for new development, with access to two major freeways and an expressway; two light rail stations and a future Milpitas BART Station; the Great Mall as a regional entertainment and shopping destination; and the City is ready to facilitate new private sector investment and development. To become a part of Milpitas’ growing business community, visit MilpitasInnovates.com or contact Economic Development Director Alex Andrade at 408-586-3046, or aandrade@ci.milpitas.ca.gov.